Visited places: TRINIDAD (World Heritage). 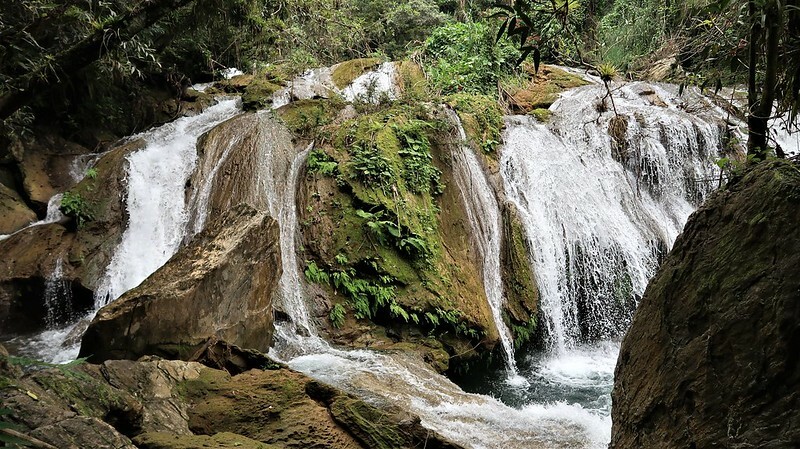 Visited places: TRINIDAD (World Heritage), CENTINELAS DEL RIO MELODIOSO Trail in GUANAYARA Park part of TOPES DE COLLANTES Nature Park in ESCAMBRAY Mountains Range (Entrada Charco Azul – RIO MELODIOSO (or Jibacoa) River – EL ROCIO Waterfall – POZA DEL VENADO Waterfall – GUANAYARA Cave). Visited places: MANACA IZNAGA in VALLEY DE LOS INGENIOS (World Heritage).